Volunteers Needed for Sandy Mold Survey in Freeport! 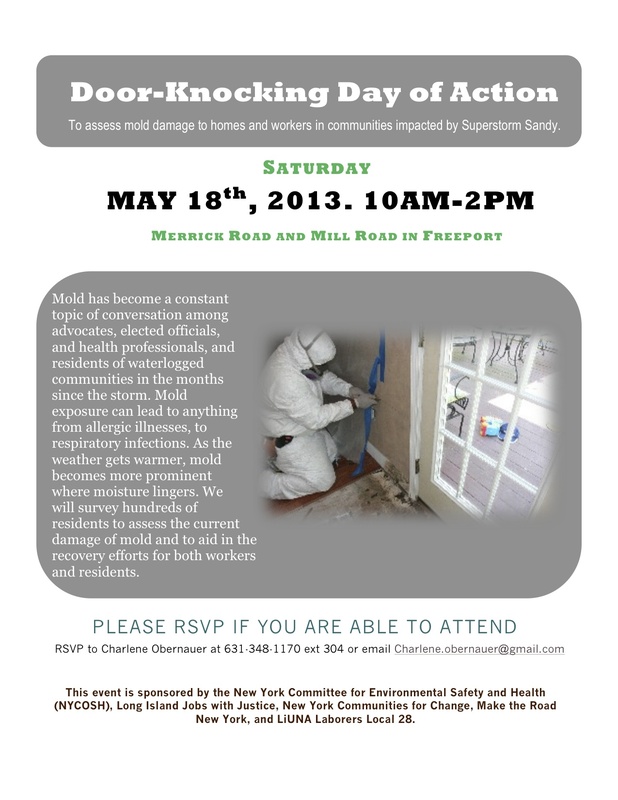 Join Long Island Jobs with Justice and our allies as we survey homes in Freeport on mold damage from Superstorm Sandy. ← Huge Victory for Bus Riders!